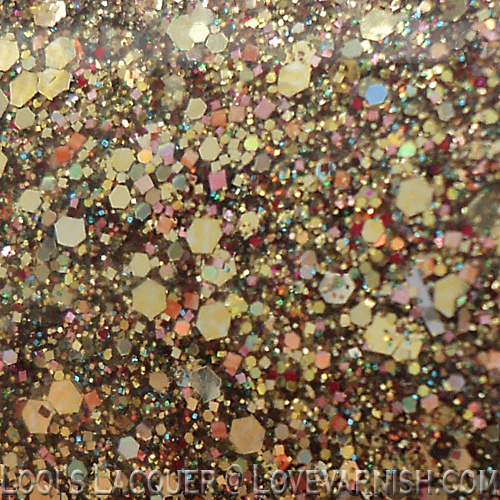 I hope you're not getting tired of these Shimmer polishes yet, I know I'm not! This week I've got Alice and Tracy to show you! 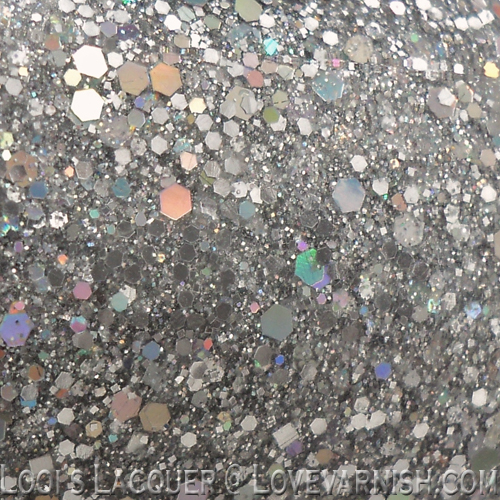 Alice is a pretty silver/iridescent mix with some larger holo hexes. It's quite opaque on its own, but here I layered it over black to get it a little darker. I painted 2 thick layers of Alice and then I stamped a fishnet pattern over it from bm-209. I love this! 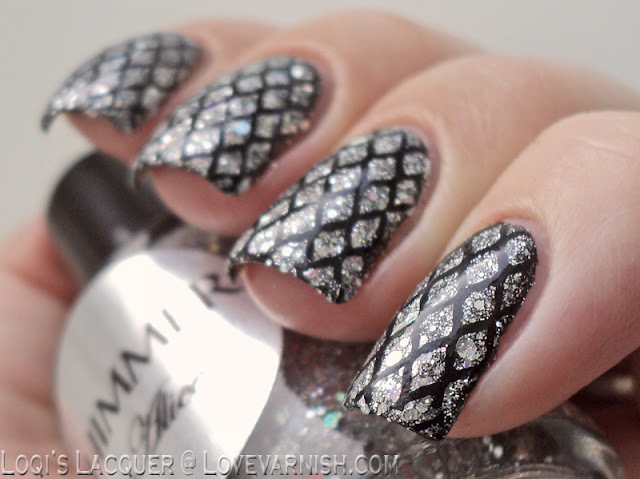 Black and silver make such a nice contrast, and the sparkle of Alice really made this pop! 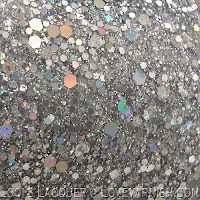 I must admit that Shimmer Tracy is not a colour I would wear on its own. I'm not a big gold fan, and this one just seems..so much! I do however love the combination of gold and pink (think A-England she walks in beauty), so I used Tracy to do a layering manicure! I used the brightest pink I have, Kiko 282 Coral pink, because Tracy is very dense and I wanted the pink to still be visible. 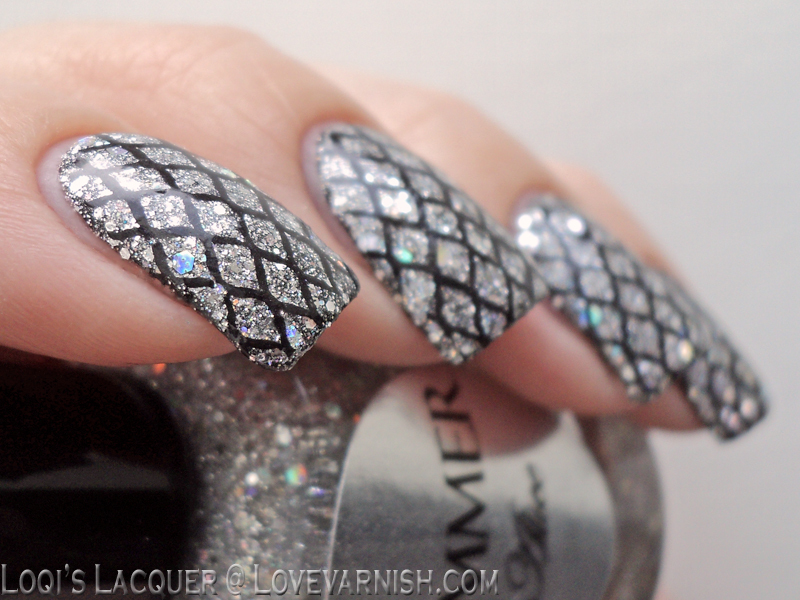 I must admit I actually really enjoyed this manicure! On the nail you can really see all the colours mixed into Tracy. 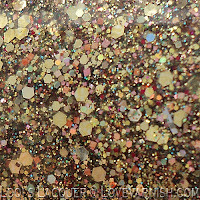 There is not just different sizes of round and hex gold glitter, there is also tiny pink, red, blue and copper and the incidental silver bar glitter. Quite a pretty polish after all! What do you guys prefer? Gold or silver? I am not a huge fan of the gold one either and maybe I'd like it more of there was a little less gold glitter. 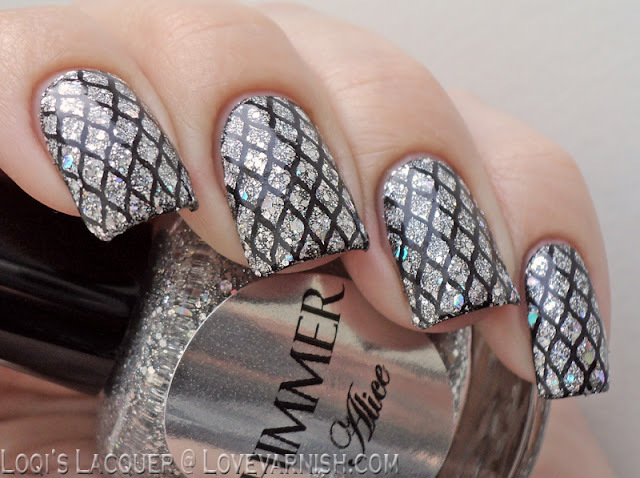 I do however love Alice with the stamped design on top! I've got Jasmine here too! I will be doing a post with her soon, she's really gorgeous!